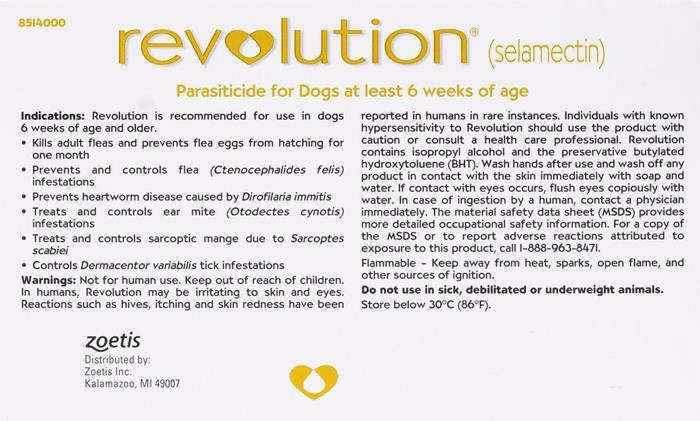 You can use Revolution safely on puppies 6 weeks or older. Does product protect against all ticks? This product doesn't protect against ticks. revolution how long does it last. 1 treatment last 2 months? 3 months? thank you. 1 treatment lasts 1 month. can revolution used for cats be used for dogs? There have the same ingredients but amount of the ingredient is different in each tube. Does revolution treat all worms? I have used Revolution for 8 years. It has always worked quite well. My pup has never experienced any side effects. I am very pleased with this product, and will continue to use it.